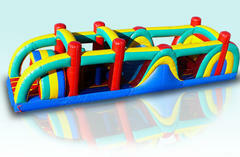 40ft long Inflatable Obstacle course Rental. This obstacle course is brightly colored, 38 feet long, has pop ups, climb overs, crawl through areas and is enclosed for shade and safety. 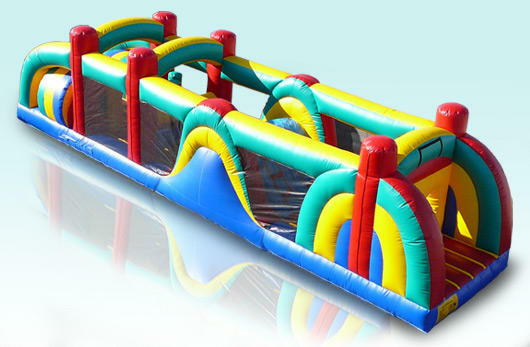 Race your friends and family through this inflatable obstacle course, or add it to any package to make your event special. This a great unit to add to any festival, fundraiser, church or school event. You can even rent this for a backyard party. Give us a call or book online.